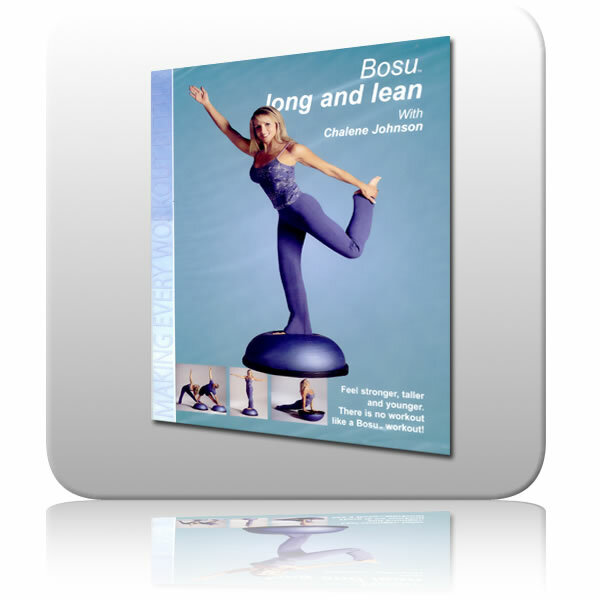 Warm-up: Flowing yoga inspired poses that will warm up your muscles as you become accustomed to standing on the BOSU Balance Trainer's dynamic surface. Segment One: Standing exercises and poses that alternate toning and balance exercises with stretching to tone your lower body and core. Segment Two: Focus on your upper body in a series of fluid movements that target your muscles in a unique and very challenging workout. Segment Three: Pilates inspired balance routine recruits your core muscles as stabilizers. Your ab and back muscles will fire constantly in this non traditional and very challenging workout!